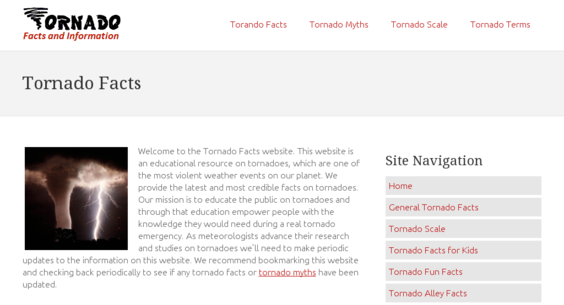 This is a niche website on tornado facts. It ranks in the top 1-3 positions for all it's core keywords. Receives 25k+ visitors a month. Poorly monetized with Google AdSense. Own a website with value!